What do the major players missing from the Google Android and Open Handset Alliance (OHA) have in common? 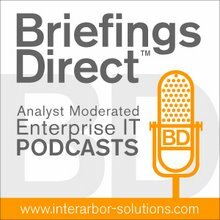 An abiding interest in enterprise mobile, and effectively integrating IT back-end resources for delivery to mobile B2E, B2B and B2C endpoints. So-far, the non-OHA-committed players include Apple, Microsoft, Sybase, Adobe, Oracle, BEA Systems, Red Hat, Sun Microsystems, IBM, Verizon Wireless, AT&T, SAP, and HP. When viewed through this prominent global crowd, the OHA roster seems a bit flimsy for satisfying the major business activities/corporate opportunity. Many questions arise on what will happen in an OHA world on the business side of the aisle. For example, should Google and the OHA members be satisfied with the B2C play? Will the current B2C OHA, if successful, play a coalescing role for B2B and B2E architectures? Could a separate business-oriented OHA or equivalent be in the offing? For mobile especially, why have separate architectures for B2C and B2B? Why should enterprise mobile SaaS be constructed any differently from mobile Web SaaS? Fragmentation is the problem, not the solution. If Android is to progress as an open environment into PC-like devices, then the architectural approach should be common. Respondents to my ZDNet blog poll say 58% to 42% that open mobile devices threaten closed PC models. Well, of course, many things need to happen for an "open" business-ready mobile architecture: security, control, management, governance and mission critical reliability come to mind. The level for such risk-avoidance measures would be lower for a B2C and mobile commerce approach, at least at the outset. So perhaps what is needed is a two-tiered approach to Android/OHA. One level, for Web-facing and consumer-type activities (supported increasingly by ad and mobile commerce revenues), will arrive Nov. 12. But how about a second level for a more enterprise-calibre stack, one with the concerns of CIOs addressed (supported more by a licensed, royalty, maintenance/support or subscription revenue model). Come on, guys, let's see the business version! In fact, this could well mirror what has happened with free open source and so-called commercial open source. You take the same code base, the same adherence to openness, standards and interoperability -- yet take it to market on two levels. Android may very well need an more mature brother: Robot. Android can be the mobile consumer-facing approach. Robot can be the workhorse for the business-class needs. This makes a great deal of sense and would allow for the common community of development while satisfying two quite different architectural integrity needs. It also allows for more traditional business monetization for Robot, one that would jibe with enterprise licensed and commercial open source selling. The Apache license could work for both, another essential commonality. Make no mistake. There is growing demand for enterprises to get mobile to their employees, partners, and customers. Sybase is betting the company on it. Based on a poll I presented in a recent ZDNet blog here, a whopping 78% of respondents think that IBM and Apple should work together to bring a Lotus Notes client to the iPhone. I say three cheers for Notes on iPhone! It would be a great solution and drive Apple deeper into enterprises, while extending the shelf life of Notes/Domino. But why not build it via a Robot architecture, with Android at the core, and allow these mobile devices to be common endpoints for corporate and consumer activities, such as Notes/Domino, based on a common -- yet two-tired -- open/commercial middleware stack? Windows Mobile didn't get the job done. Java ME did not get the job done. Embedded Linux did not get the job done. How about a Robot brother to Android?